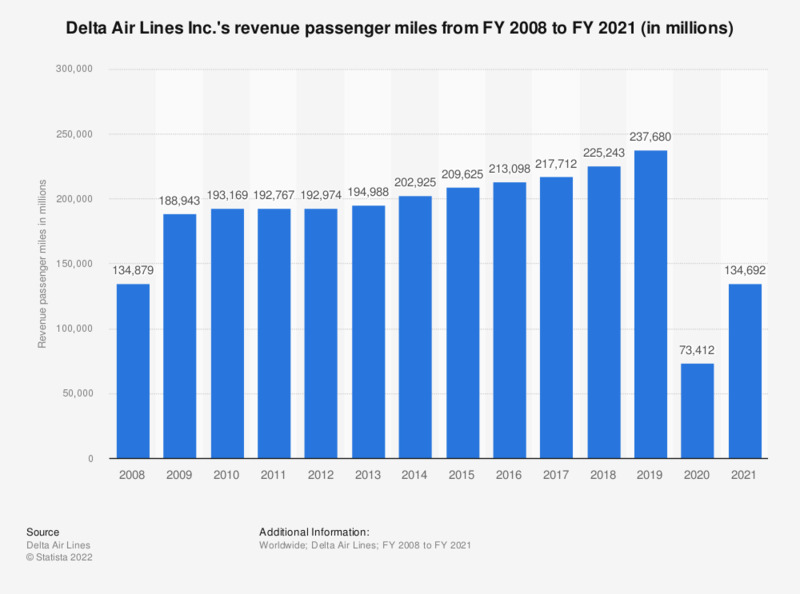 The statistic represents Delta's revenue passenger miles between the fiscal year of 2008 and the fiscal year of 2018. In the fiscal year of 2018, the company's revenue passenger miles came to just over 225 billion. Revenue passenger miles are calculated by multiplying the number of revenue-paying passengers by the distance traveled. One revenue passenger mile is approximately equal to one revenue-paying passenger transported one mile. Indonesia: Which airlines have you flown with during the last 12 months?